Very few counties fall within this group. 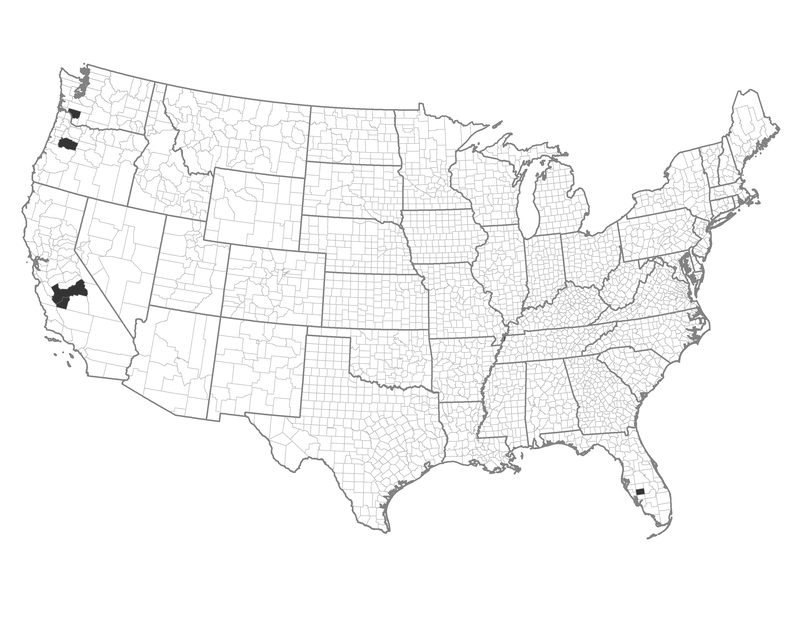 They are mostly within the western part of the United States, with one county in Florida. These areas are characterized by high demographic stress and higher ignitions, within Fire Regime Group V. The areas are mostly suburban landscapes, where fires typically start in the Wildland Urban Interface. Example of a Typical County — Linn County, Oregon: This Douglas-fir forested county lies on the west side of the Cascades and is transected by US 20 that runs between Bend and Corvallis. Local discretion should be used to determine the importance of home and community actions. Human caused ignitions are a problem in these counties. Reduce accidental human-caused ignitions through the enforcement of burning bans or greater education. Reduce human-caused incendiary ignitions by focusing on enforcement programs. Prepare for infrequent large, long duration wildfires.